If laughter is the best medicine, then we’re prescribing a trip to Chattanooga – STAT. 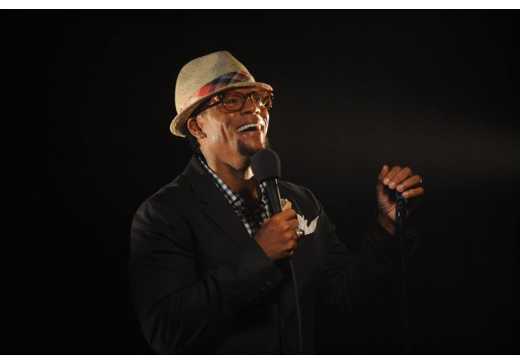 National comedic talent regularly rolls through town, causing generalized giggling and acute knee slapping that’s sure to cure whatever ails you. So book your next trip to the Scenic City for some rest, relaxation and laughter. Remember, it’s doctor’s orders. 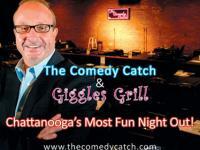 The Comedy Catch has kept Chattanooga rolling in the aisles since opening in the summer of 1985. What was once a small club on top of a downtown hotel has transformed into a top-notch comedy club, seating 250. The secret to their success is the national talent they’ve been able to attract, such as Jerry Seinfeld, Jeff Foxworthy, Paula Poundstone, Bobcat Goldthwait, D.L. Hughley, Pauly Shore and many others. The Comedy Catch has become the area’s premier comedic destination, featured in Southern Living. In addition to weekly shows, Comedy Catch has given back to the community with special shows for the hearing impaired, day care teachers, recovering alcoholics, Christian Comedy Shows and a long list of charity events. In addition to a full bar during the show, The Giggles Grills is their full-service restaurant, serving salads, burgers, steaks and other entrees before the show. Regular shows run each night Thursday through Sunday, with two shows on Friday and Saturday nights. As one of the nation’s oldest, largest, continuously running community theaters, Chattanooga Theatre Center knows a thing or two about entertainment. While not all shows are funny, plenty of comedies grace their stage such as The Odd Couple (January 2014) and Pump Boys & Dinettes (April 2014). Founded in 1923, the Theatre’s roughly 15 productions each year are fueled by a legion of talented volunteers. Located in a 40,000-square-foot facility overlooking the Tennessee River, the Theatre seats more than 500 and offers special amenities such as closed captioning for the hearing impaired. The regular season runs September through July and runs the gambit from comedies to dramas, mysteries to musicals.